Mike Della Polla, Author at Saw Trax Manufacturing, Inc. Most everyone in the sign industry dealing with Coro, owns or has seen a flute knife or flute “cutter”. These handy little additions make cutting in the flute direction of coro, such as Coroplast™ , idiot proof. They also give one the opportunity to score cut the coro to make bends or wrap around prints. The way these cutters work is simple. 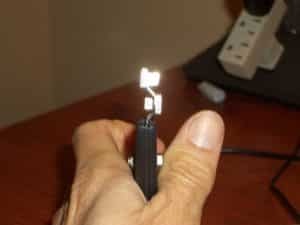 They have two prongs connected to a blade which is connected to a handle. The prongs are slid into the flute of the coro and are used as a guide for the blade. The outside prong is used for scoring. The inside prong is used for cutting. The most popular brand of these flute knives is called the Coro-Claw™ from Saw Trax Mfg. Inc. In the US, the most popular sizes of coro are 4 mil and 10 mil. 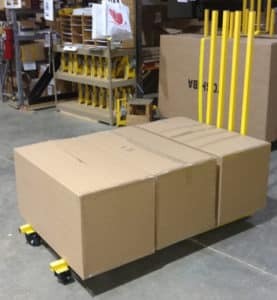 The 4 mil was pretty simple to cut because of the thin side walls. The 10 mil was close to impossible to cut with a hand held cutter because the thicker side walls would close on the blade creating tremendous resistance. What was needed was a simple hand held cutter like the Coro-Claw™ but for 10 mil material. Enter the Coro-Claw™ X. As you know, X is the Roman symbol for 10. 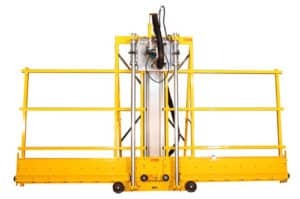 What is innovative about the Coro-Claw™ X is that it solved the problem of the thicker flute wall closing on the blade. It does this by beveling the cutting blade on either side of the guide prong. This way, the blade separates the side walls allowing them to move up or down away from the blade and not squeeze the blade. By doing opposite bevels on either side of the blade, the cut is made in the center of the flute. A second innovations with the Coro-Claw™ X is that the blade is angled instead of being at a 90 degree to the material. This angle, like a guillotine blade, makes it easier to slice the material. The third innovation with the blade is that the cutting edges are offset so the top side wall and bottom side wall are not being cut at the same time as you start your cut. This makes for easier blade entry. The final innovation with this flute cutter is that it has replaceable cutting heads. This way you reuse the handle saving the user money. This blade is a patented Saw Trax product. Price on the Coro-Claw™ X is $31.95. 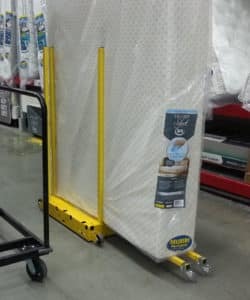 A two pack of replacement heads are $39.95. 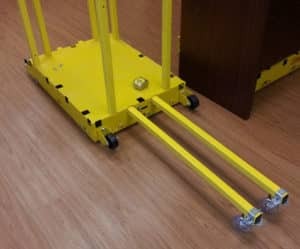 New Wheeled Posts for yel-Low Safety Dolly and MovePro Moving Dolly. 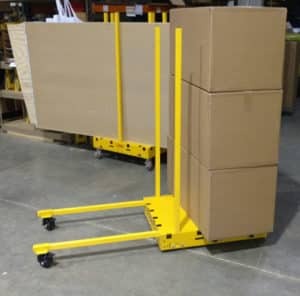 In refining the MovePro wheeled post system, we have made a number of improvements that also apply to the yel-Low Safety Dolly. 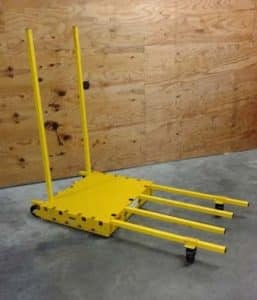 First we are using the 3″ heavy duty casters used on the Rack & Roll Safety Dolly. These have a foot operated locking stem and wheel brake. Their weight capacity is over 400 lbs. for each caster. 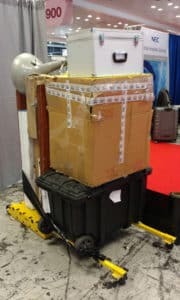 The second innovation is the pin system used to hold the caster on the post and lock the post to the dolly. 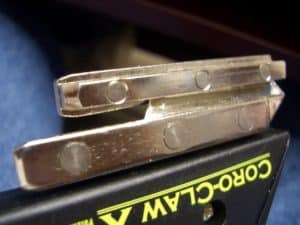 In the past, we used a steel quick release pin. 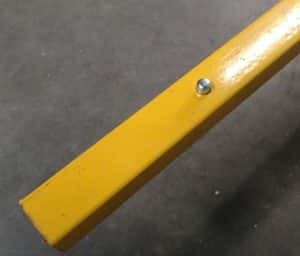 These pins would be inserted either through the post or through the bracket holding the wheel to hold the wheel onto the post. Now we have moved to a quick release button connector that is internal to the posts. The advantage of the new quick release button is that it is faster to use and you don’t need to keep track of the pins used previously. This is the button through the post that would lock the post to the dolly. 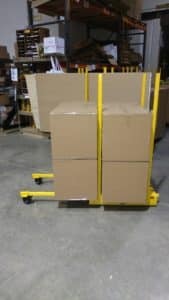 The posts used horizontally can more than double the horizontal holding capacity of the dollies. See the pictures below. This is the old version with pins and different wheels. To see how the posts attach, click here. 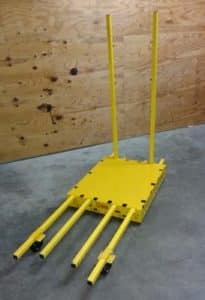 At at a trade show, instead of waiting hours for a pallet or crates, we can pack our entire booth onto one of these Safety Dollies. 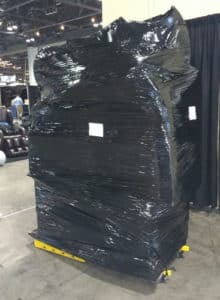 It is easy to store in the booth and takes no time to set it up. 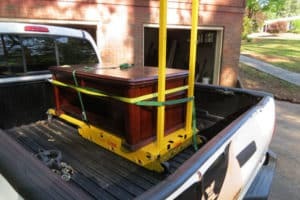 It gives us the option of rolling it out ourselves or putting a sticker on it and having the freight truck take it home.